Essential oils have been used for eons as a healing tool. They are mentioned numerous times in ancient sacred texts for anointing and healing the sick. The Christ child was rubbed with frankincense and myrrh at birth. Diseases occur when the body’s vibrational frequency drops below a certain point and essential oils work by raising the bodies vibrational frequency. This can only be achieved by organic therapeutic grade essential oils. There has been much written about the healing abilities of essential oils on the physical body but more and more over the last few years research has shown that most physical ailments have an emotional counterpart. The challenge here is to access the cellular memory and change the automatic response to an emotional charge. Our emotional patterns control our life experiences. The key to producing therapeutic grade essential oils is to preserve as many of the delicate aromatic compounds within the essential oil as possible. Oils are made of many chemical constituents, and these constituents can be affected by a vast number of different variables, including: the part of the plant used, soil condition, fertilizer (chemical or organic) geographical region, climate, altitude, harvesting methods and most importantly the distillation method. High temperatures and pressure as well as contact easily destroy fragile aromatic chemicals with reactive metals such as copper and aluminium. It is also very important that the plant material is grown organically, otherwise there is residues of poisonous pesticides, herbicides and other agrichemical chemicals, these react with the essential oil during distillation to produce toxic compounds and because many of the pesticides are oil soluble, they can also mix into the oil. The fertilizer should be of an organic nature to ensure that the plant is complete in its chemical makeup. 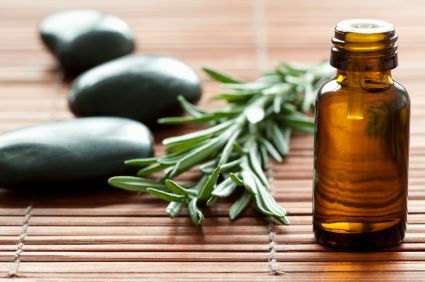 As we begin to understand the power of essential oils in the realm of healing on many levels (physical, emotional and spiritual), we appreciate the necessity for obtaining the purest essential oils possible, there can be no substitute as the alternatives can be toxic and ineffective as a healing tool as the extraordinarily high vibrations of the oils are reduced. Essential oils and human blood share several common properties: They fight infection, contain hormone-like properties and initiate regeneration. They work as the defence mechanism of the plant and contain many potent antibacterial, antifungal and antibacterial properties. As they contain a chemical structure that is similar to that of human cells they are compatible with human protein and therefore readily identified and accepted by the body. The molecules of essential oils are relatively small and can penetrate the cell membranes and diffuse throughout the blood and tissues. When applied topically (feet or elsewhere) they can travel through the body in a matter of minutes. Because of their complex chemical makeup, essential oils do not disturb the body’s natural balance or homeostasis, as this allows for a counteractive reaction if the effect may be too strong. Synthetic chemicals on the other hand usually have only one action and often disrupt the body’s homeostasis. This entry was posted in articles and tagged Essential oils, ORGANIC.